Dr Saeed qualified from Guys & St Thomas Hospital Dental School in 2002 and completed his vocational training in London. Dr Saeed has been placing dental Implants since 2008 and has trained in advanced surgical procedures such as block bone grafts, sinus lifts, ridge expansion and intra oral bone harvesting. 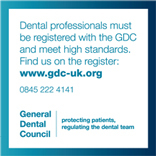 Dr Saeed has completed the Diploma in Restorative Dentistry (FGDPUK) Royal College Surgeons. This has given him further skills for advanced restorative cases including full mouth rehabilitation, advanced tooth surface loss and smile makeovers. He has been providing orthodontic treatment for his patients since 2006 on a private basis and provides 6 month smiles, fast braces and Invisalign systems. Due to his mix of skills he can combine restorative implant and orthodontic treatment for patients to achieve optimum results. Whether you need a single tooth implant or an upper and lower full arch rehabilitation, rest assured you are in capable hands. We can provide All on 4, same day teeth so your patients can leave with a full set of fixed teeth. He is a member of the Association of Dental Implantology (ADI) and FGDP (UK) and enjoys keeping fit, spending time with his family and hiking. Dr Stewart graduated with her Bachelor in Dental Surgery from King's College London, University of London in 2008. She then completed one year of vocational training, followed by another year as a Senior House Officer in Oral & Maxillofacial Surgery and Restorative Dentistry. Dr Stewart enjoys working in all aspects of General Dentistry. She is a registered Inman Aligner Practioner who can enhance your smile by straightening your teeth. Dr Stewart is also a registered Somnowell Practitioner, as well as, a member of the British Society of Dental Sleep Medicine who can provide comfortable appliances to help patients with sleeping problems such as snoring and sleep apnoea. Dr Stewart greets her patients with a smile and puts their fears at ease. Dr Kishan Patel qualified in 2010 from the Barts & the London Dental Hospital and completed a year of vocational training in Oxford. He has been a valuable member of our team since 2011. Dr Patel has a special interest in Cosmetic Dentistry and Periodontal treatment. He provides treatment for INMAN aligner and QST Quick Straight Teeth short term orthodontic option as well as composite and porcelain Veneer Smile Design. Dr Patel has a holistic approach to take care of all of your dental needs and enjoys treating nervous patients and children. Dr. Ho qaulified from Barts Dental Hospital in 2000 and then was awarded membership of the Faculty of General Dental Practitioners' from the Royal College of Surgeons the following year. Dr Ho attends regular courses to improve the care he provides for his patients. In 2007 Dr. Ho and the team he worked with was awarded 'Best Patient Care' in the Private Dentistry Award. Dr Ho is a member of the British Dental Assosiation. Dr Ho has an interest in cosmetic dentistry and has been on numerous courses relating to this area of dentistry. Languages spoken are English and Cantonese. Dr. Panesar qualified with honours from Leeds Dental Institute in 2008. After completing her vocational training she passed her examinations to become part of the Royal College of Surgeons, whilst working in general practice and has been part of our team since 2012. In 2016 Dr. Panesar completed a certified aesthetic dentistry course with a prestigious Harley Street dentist and lecturer to advance her skills in cosmetic crowns, veneers and smile design. She is also an Invisalign provider. Dr Panesar is able to provide a wide range of cosmetic dental treatments to achieve natural healthy smiles for her patients. Dr Panaser prides herself on providing high-quality dentistry with a gentle hand and tries to create a relaxed, informal atmosphere for her patients. Dr Patel graduated from Kings College London in 2014. After completing vocational training in Surrey, she worked in various hospitals across London gaining skills in oral surgery, paediatric and restorative dentistry. She is committed to postgraduate education as has completed a Diploma in Primary Care Dentistry and examinations with the Royal College of Surgeons. Dr Patel is a friendly and approachable dentist who enjoys all aspects of dentistry and has attended several courses to improve her skills. She particularly enjoys treating children and anxious patients. Siva completed his National Certificate of Education of dental Nursing (NCEDN) during 2010. He gained his Licence of Dental Surgery (LDS) at the Royal College of London during 2017. His passion is oral healthcare and education and has a positive commitment to the delivery of care to his patients. Outside of dentistry, Siva enjoys travelling, spending time with family and friends and playing chess. Siva speaks both English and Tamil.